To register means to complete the registration form and pay tuition and fees. This should be done before attending class unless special permission has been granted to the student. Special permission to attend a class without registering may be granted only by an appropriate authority and the Registrar is to be notified in advance in writing by the authorizing person. Note: Students are not officially admitted to a class unless they are properly registered. 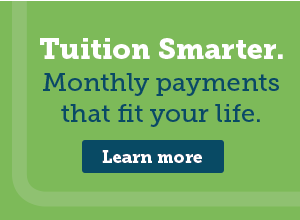 Full tuition payment is due at the time of registration, unless prior arrangement to a commitment to pay plan is approved by the Business Office. Student must also complete an Application for Admission and participate in the placement evaluation (exception may be granted) before their first registration will be processed. The registration period for all courses shall be determined by the Registrar. Classes that begin and/or end at different times throughout the semester will have different refund and withdrawal dates. These dates are available in the Registration and Records Office. Some students receiving federal financial aid will have refund adjustments determined by the government. This information is available in the Financial Aid Office. Students may register using a variety of methods designed for ease of registration and student convenience. Students may register by phone, by mail or in person.